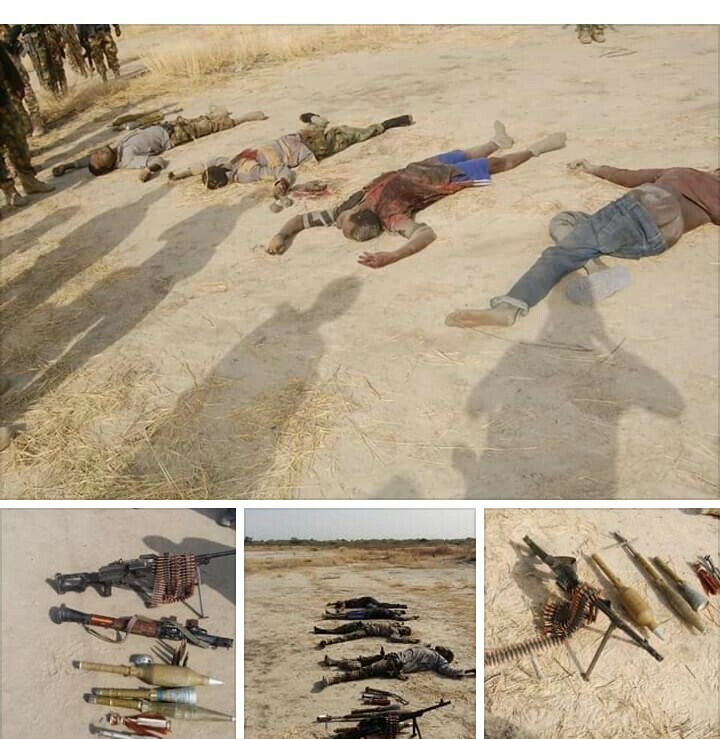 Troops of sector 3 of operation Lafiya Dole deployed in Mallam Fatori in Abadam local Government area of Borno state on February 2,2019 at about 6pm during a routine defence patrol encountered BokoHaram Terrorists whose intent was to attack troop’s location. The statement revealed that many of the terrorists were neutralized while others escaped with gun shots wounds .The statement noted that various weapons and ammunitions were recovered from the terrorists ,unfortunately three soldiers were wounded in the action and presently receiving treatment at 7 Division Hospital Maduigiri. The statement added that the Commander sector 3 operation Lafiya Dole commended the troops for their gallantry, courage and loyalty in the fight against insurgency and also solicited for public support from good citizens and urged them to report the presences of suspected wounded persons within their locality to the nearest security outpost.